Whether you have been to Florida’s Historic Coast or not, you are bound to know one thing about it: Florida’s Historic Coast is a beautiful place full of unique experiences. It is a city filled with art, culture, history, food, and so much more. We have compiled a list of 10 must-see and must-do things while you’re here. From ancient, handwoven rugs, to aquarium-adorned galleries, and after-hours museum events, the Historic Coast is home to so much just waiting to be discovered. Over 24,000 years ago, a beautiful and ornate rug was woven from the hairs of ancient cats roaming the Nile River. Today, it resides within the architectural masterpiece of the Villa Zorayda Museum. Built as a condensed version of Spain’s Moorish Alhambra Palace in 1883, the museum houses irreplaceable history, antiques and stories. Previously the extravagant Alcazar Hotel, the Lightner Museum is a breathtaking architectural beauty. While its impressive collection occupies the space daily, the museum transforms once a month “After Hours”. At Lightner After Hours, patrons are welcome to a free evening filled with live music, wine and hors d’oeuvres, a specialized art exhibit and an informational session led by the experts. After Hours is a fun, unique, experience you will not want to miss. 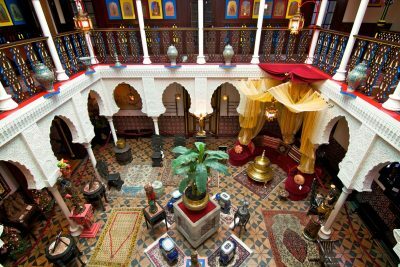 Insider Tip: While you’re there, reserve a spot at the Café Alcazar to dine in what was once the largest indoor swimming pool in the world. With handcrafted, award-winning spirits, locally grown ingredients, and a rich, colorful history, the St. Augustine Distillery is a must-see – so much so that it has recently been named North America’s Top Distillery to Tour. In addition to free tours and free tastings of “Best of Class” whiskeys, gin, rum, and vodka, you will have the opportunity to explore what was St. Augustine’s original ice plant. 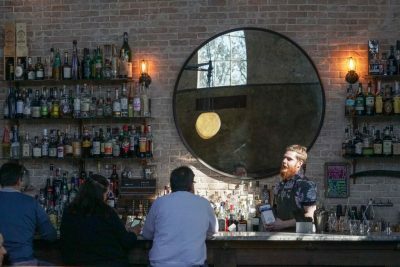 Insider Tip: Head over to Ice Plant after your tour for farm-to-table food and cocktails prepared with St. Augustine Distillery spirits! Ranked #1 for best activities in St. Augustine by Travel and Leisure Magazine, The Tasting Tours of St. Augustine make for unforgettable experiences. These three-hour pairing tours take you on exciting expeditions of St. Augustine’s history, culture, and culinary excellence. From food and wine pairings, to pub crawls, there is a perfect tour available for everyone. Wander into Tripp Harrison gallery for an experience unlike anyplace else. Harrison’s aquarium-walled gallery transports you to an underwater scene while his tropically beautiful pieces put your mind at ease. Next, hop over to the Plum Gallery to encounter bright and modern artwork while interacting with lively, passionate staff. Finally, you won’t want to miss Aviles Gallery – complete with a handmade jewelry shop and at least one of their featured Artists present at all times. Don’t end your trip here, though. 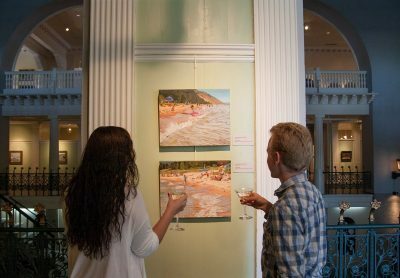 Round out your art hop with more of St. Augustine’s local galleries. 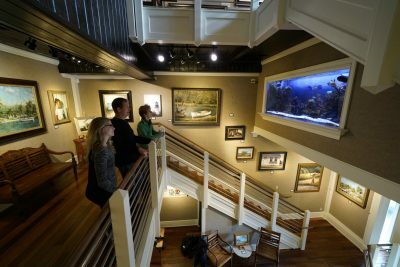 Insider Tip: Stroll through the streets and galleries of St. Augustine during the First Friday Art Walk. Explore one of the finest examples of Spanish Renaissance architecture. 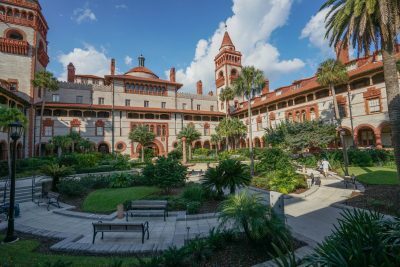 Once the Hotel Ponce de Leon, Flagler College is a National Historic Landmark. Visit the courtyard to take in the glorious landscaping and exterior of the building. Make your way inside to see the largest collection of Tiffany stained glass windows. Look for the hand-carved women statues supporting the domed ceilings. Keep an eye out for the largest piece of intact white onyx in the western hemisphere. Come to discover and stay to enjoy. 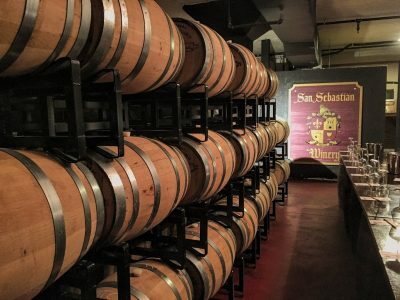 Historic and captivating, San Sebastian Winery resides in a building originally constructed by Henry Flagler in 1923. In addition to being an architectural masterpiece, the Winery has been named one of Trips to Discover‘s Top 10 Best Wineries in Florida. While you’re there, don’t forget to head upstairs to the Jazz and Blues Bar for live music and dining. Because no winery tour is complete without a taste, samples are offered on every tour, free of charge. Since one taste is never enough, make your way over to Carrera Wine Cellar afterwards for an intimate tasting. Whether you are new to wine or consider yourself a bit of a connoisseur, the Consultants at Carrera are sure to entertain and inform you. Stop in for a guided tasting, to purchase your favorite bottle, or to simply enjoy a glass on their backyard Patio. Relax beneath lantern-lit oak trees in front of the outdoor stage at Colonial Quarter. 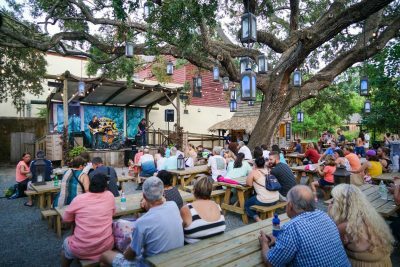 The venue hosts local bands, performing in Bluegrass, Jazz, Rock, Indie, and more. 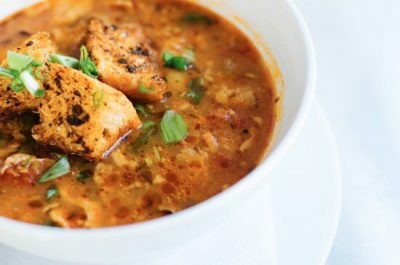 While you’re there, make sure you grab a bite to eat at one of Colonial Quarter’s incredible restaurants. Experience the great combination of delicious food, great company, and incredible performances at Colonial Quarter soon. The Datil Pepper has been a part of St. Augustine culture since early Spanish colonists and Minorcan farmers settled the city. Discover what makes the city so proud to call the pepper its own. Local restaurants, including The Floridian, Michael’s Tasting Room, and Catch 27 feature the Datil Pepper in some of their most outstanding dishes. Stop by and give it a try – this will truly give you a taste of St. Augustine! 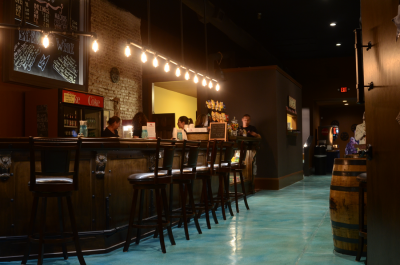 Within the heart of Downtown St. Augustine lies the warm and welcoming Corazon Cinema and Café. Here, you can sip an afternoon tea, melt into decadent sweets, and enjoy a bright and captivating show – all while cozied up in plush chairs at intimate private tables. The Corazon is simply perfect for winding down after a day of sightseeing or beginning your mornings on a high note. For more insider tips and additional help planning future getaways, download free travel itineraries at www.historiccoastculture.com/travel-itineraries. Florida’s Historic Coast is waiting!